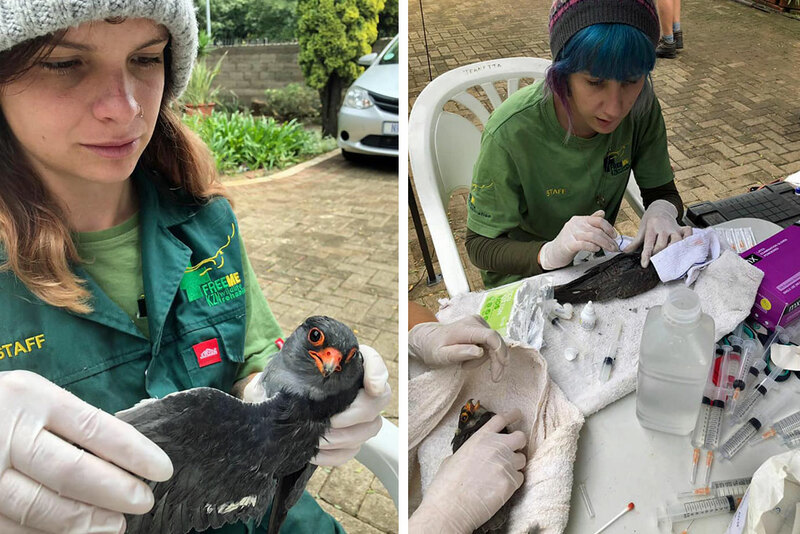 For the second time this month, South African wildlife rescuers mobilised on a mission to save several Amur falcons injured in a severe hailstorm that battered the city of Newcastle in the country’s KwaZulu-Natal (KZN) province yesterday. Late last night, a group of volunteers, brought together by local resident Angus Burns and wildlife rehabilitator Sylva Francis, gathered at a known falcon roost site in the centre of the city where they quickly got to work scooping up injured birds and relocating them to the safety of Francis’s garage. 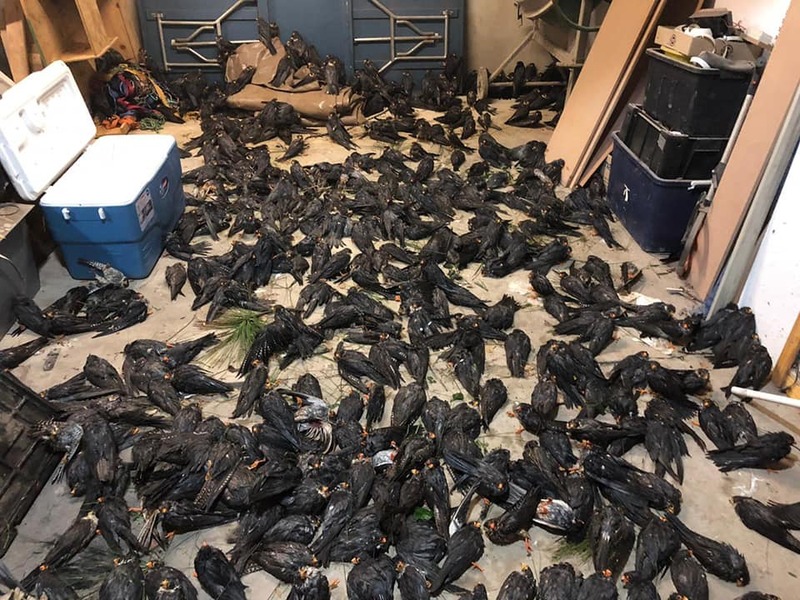 “When we arrived [at the roost] the devastation was horrible - dead, dying, injured and concussed falcons lying everywhere,“ Burns explained in a Facebook post. 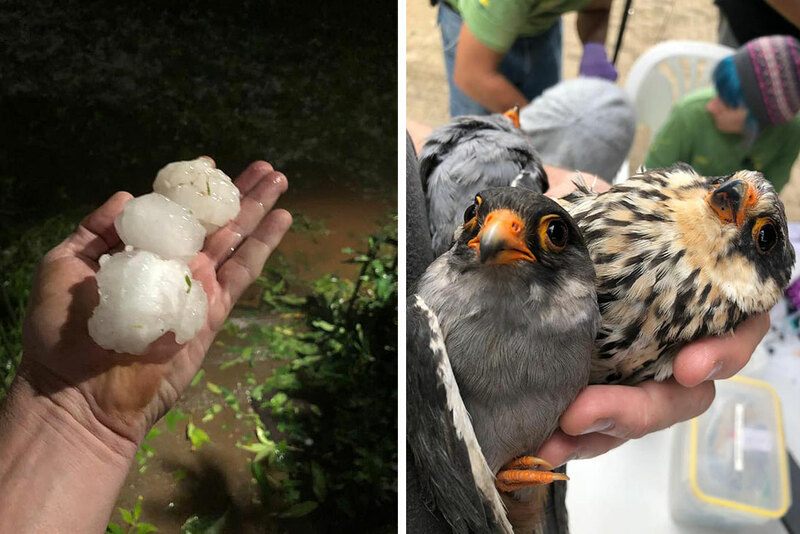 Many of the raptors had already succumbed to the tennis-ball sized hail stones, while many others were in need of treatment. “We all worked until after 1am,” Burns wrote. 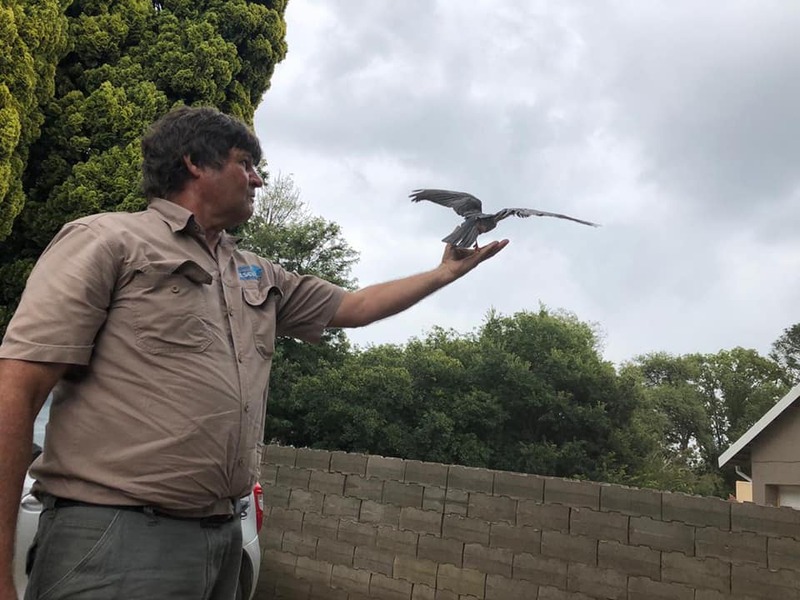 Two teams from the FreeMe Wildlife KZN Rehabilitation Centre, headquartered some 245 kilometres away from the roost site, raced to the scene to assist. Ben Hoffman of Raptor Rescue and Wendy White from the Bat Interest Group also rushed over to lend a hand. 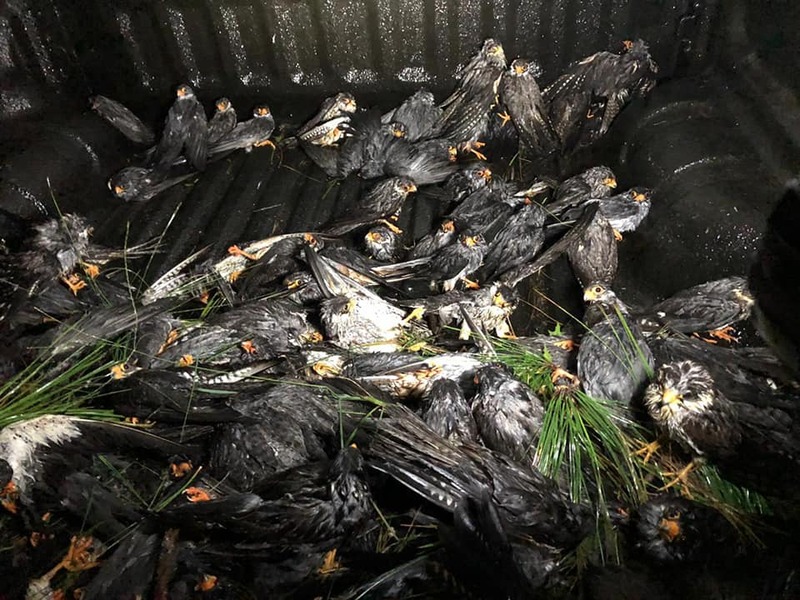 The latest rescue effort comes just two weeks after the FreeMe crew were called out to a falcon roost site in the KZN Midlands that was also hammered by hail. In that instance, over 1,000 falcons (mostly Amur with a handful of red-footed thrown in) were transported to the team's rehabilitation centre where they were assessed and treated. At least 400 of the falcons have already been released while the remainder are being monitored and are set to be returned to the wild as soon as they are fit enough. The latest rescue effort is still ongoing; at this stage the team have manage to stabilise and release 761 birds, 85 are on route to rehabilitation centres, and a further 60 will be kept overnight for monitoring and will potentially be released tomorrow. Sadly as many as 2,000 were not so lucky and have perished as a result of the destructive storm (for further updates and to find out how you can help, visit the FreeMe KZN Facebook page). Amur falcons are long-distance migrants that take on a staggering annual journey from their breeding grounds in northeast Asia all the way to their winter habitat in southern Africa and back. “They undertake the longest regular overwater migration of any bird of prey,” according to Rockjumper Birding Tours. It’s a migration that includes a 4000-kilometre stretch across the Indian Ocean between India and tropical east Africa. The trip can be treacherous and is made more difficult by the fact that the birds must negotiate their way through illegal traps, land that has been stripped for agriculture, and, of course, inclement weather. The falcons are preparing to make their return journey now, so it’s likely that some of the rescued raptors will have to remain in the care of wildlife rehabilitators until the flocks return again next year. A trail run turns into an unexpected rescue mission thanks to a tiny screech owl nestling.